Back in my hometown, sunny Singapore! Hope everyone has been well so far! It’s been a month back home and I have been busy with photographing wedding and events for the past month and busy watching World Cup 2018. Though winners were France, I was supporting Belgium through this journey and couldn’t be more proud of their achievement! Alright let’s get to today’s post! 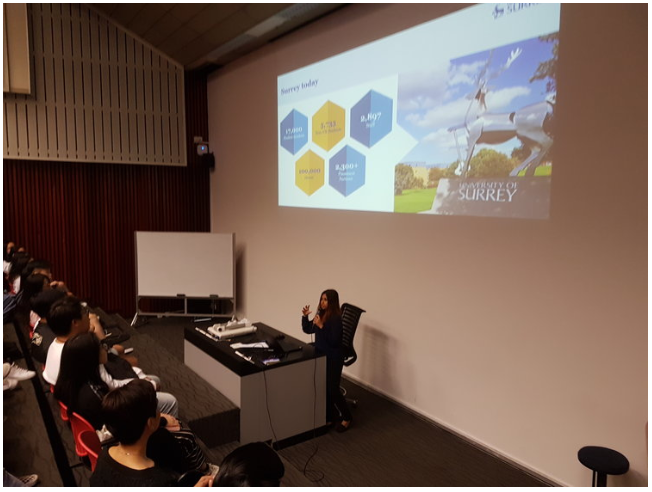 I recently collaborated with my previous institution, Singapore Polytechnic to give a talk about University of Surrey! Not only did I present about my student life, academic requirements, it was a chance for me to reminisce the past and have a chat with lecturers whom groomed me for whom I am today. I teamed up with Isabelle who is currently stationed at Malaysia and is in-charge with South East Asian student recruitment. Both of us shared our insights about Surrey and the application process in which prospectus students apply for their university choices – UCAS. I shared more about my student experience here at Surrey over the past 2 years. Students at Singapore Polytechnic were extremely enthusiastic and keen on my story telling especially when its travel related. One key story I shared was how I survived the problem of living alone overseas. It was difficult for me at the start as I handled most of the applications and settlement on my own as my parents were stationed in China for work during my prospectus year. The moment I arrived in Guildford, I definitely missed home, friends and loved ones as it was the start of a new journey. The first 2 months were difficult as I had to acclimatise myself to the new surroundings and weather. At that point of time, I definitely missed Singapore’s weather. Thankfully, I had the best flatmates I could ever ask for. Despite the age gap, they were extremely accommodating to me and showed how is it like to live like a local. Apart from drinking, they celebrated Christmas, New Year and each other birthdays and it was my favourite memory during my Fresher year. So to all freshers, it will be difficult at the start and you’ll start missing home but don’t worry, you’ll instantly get used to the life here and definitely prefer the colder weathers compared to Singapore’s humid weather. During the presentation, I was joined by a really close friend of mine whom I’ve known for 7 years and we shared loads of fun memories such as graduation trip to Iceland and graduation ceremony from Singapore Polytechnic in 2014. His name is Chris Chong Jun Wei and he’s pursuing his degree at Singapore Management University (SMU). 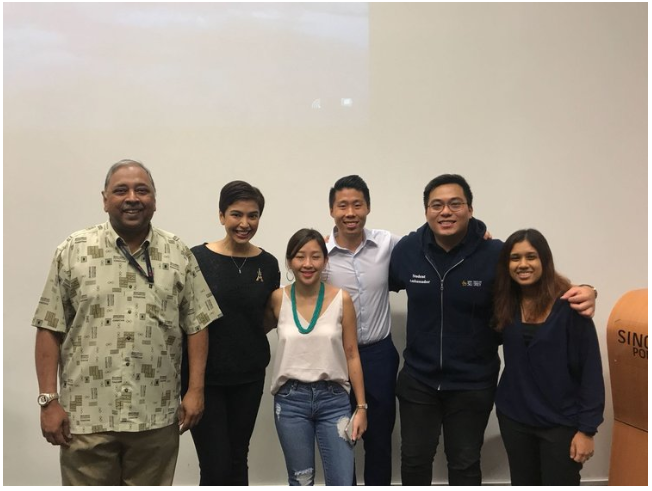 He was invited to give his past Singapore Polytechnic experience to the students and what is internship at Marina Bay Sands taught him. 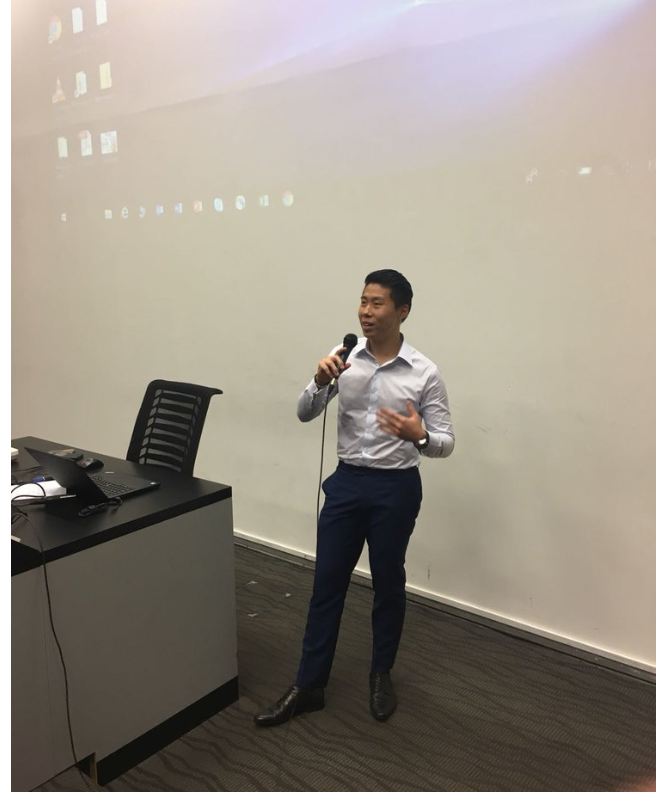 Jun Wei has been doing internships at numerous firms during holidays and gave an insight of what to expect from the industry. It was great seeing him again and wishing him all the best for his future endeavours. 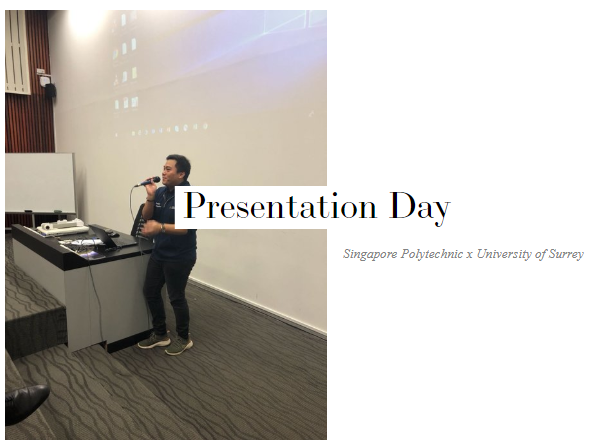 All in all, it was a great experience and presentation at Singapore Polytechnic. It was lovely to see my previous lecturers such as Farah and Ronald. From the team at Surrey, we like to thank everyone at Singapore Polytechnic for giving us this amazing opportunity! Till then! ~ Follow me at @fabljq on Instagram for travel updates!